We got some amazing photos from Kabul this week. 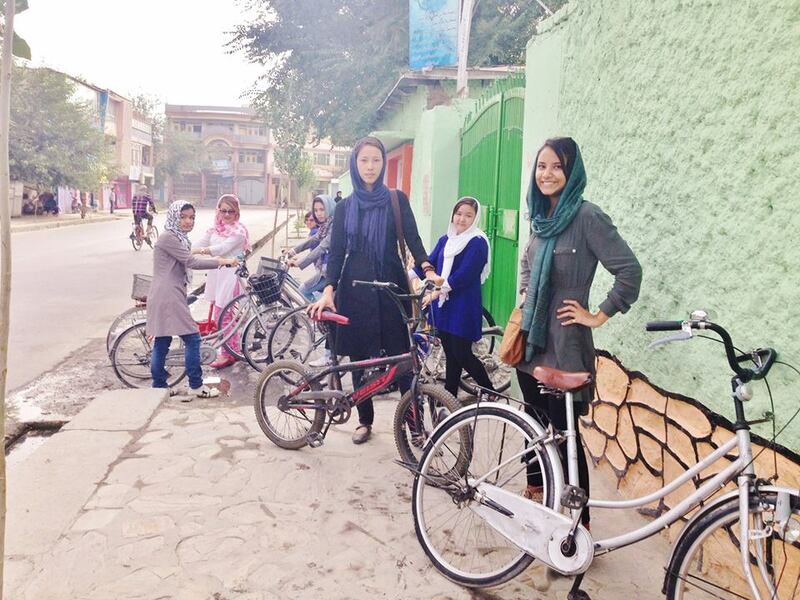 These girls are learning to ride bikes in Kabul. They are not part of the national cycling team, or even aware of it at the time they sent us the photos. These girls simply started this up on their own with the help of a young Afghan woman working to establish a Girl Up branch in Kabul. 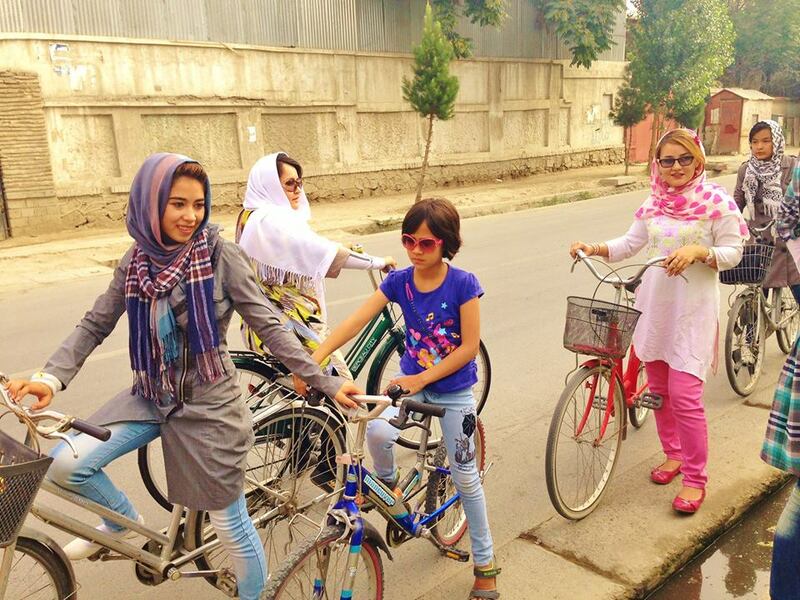 So proud to see these young women taking back the streets, and their rights, on bikes and breaking the gender barriers that have prevented girls from riding in the past. 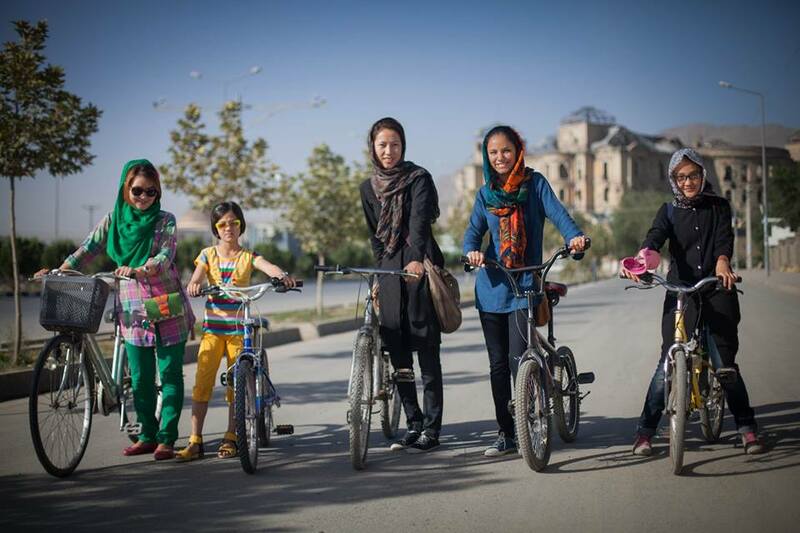 THIS is locally led, sustainable change, that shows the progress of women’s rights as women are leading the charge and doing it on two wheels. 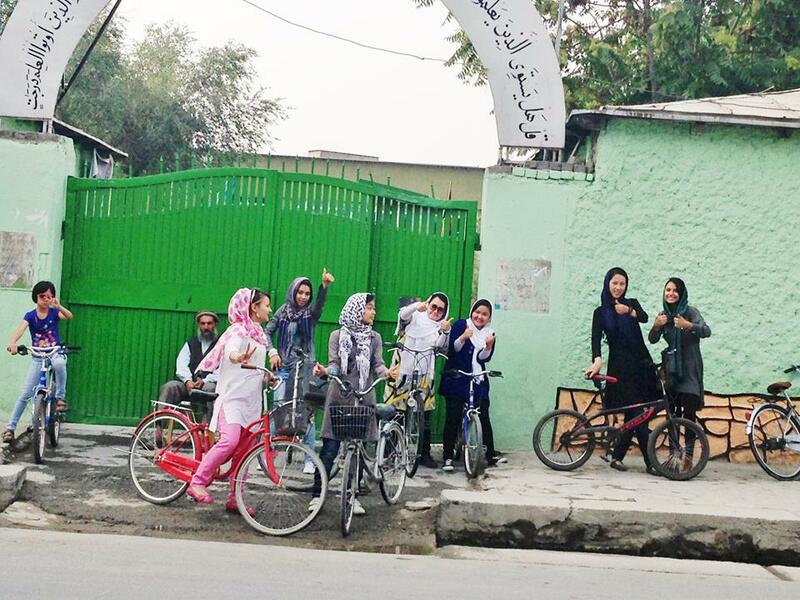 We’ll be riding with these girls on August 30th as part of the Global Solidarity Ride – as riders around the world ride in solidarity with the Afghan women who dare to ride, we’ll see Afghan women like these riding too. Its a revolution at its core, and we’re humbled and proud to support girls like these and cheer them on!! Great news to see that the tide is building naturally with support from within . I am sure you will experience setbacks along the way that will be dangerous and frightening at times. Those who do not want change will take steps to scare these new bikers as they have tried to scare young women in the past who have gone to school in spite of the dangers. I am so proud to see young ladies starting to express their desire to be enjoy the opportunity to ride a bike . Congrats ! to them and to you .